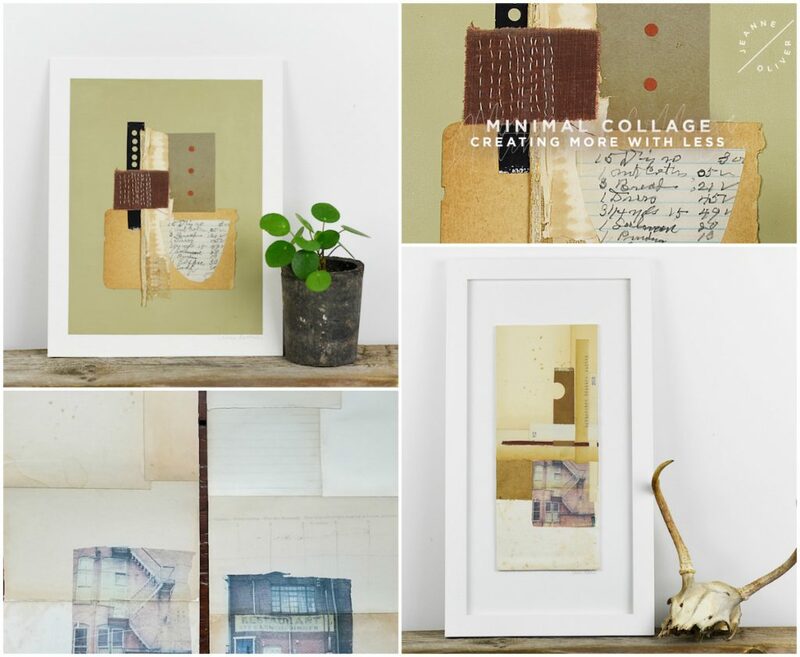 “Focusing only on imperfect papers and book parts from the past, explore the notion of creating beautiful collage work using very few supplies. No marks, no paint, just paper. Clear the clutter to create space, both mentally and physically, and allow the papers to speak for themselves. Creating a collage that is strong enough to stand on it’s own encourages thoughtful placement knowing it won’t be covered up. Creating a practice of being present in the moment and working with papers that have their own story to tell is both calming and stimulating. Enjoy creating more with less”. Just reading Leslie Rottner’s new course description made me take a huge exhale. What a gift of a class. Take what you have and create something beautiful and strong with it. Learn composition techniques that will carry you through all mediums. This is a class for all lovers of paper and design! 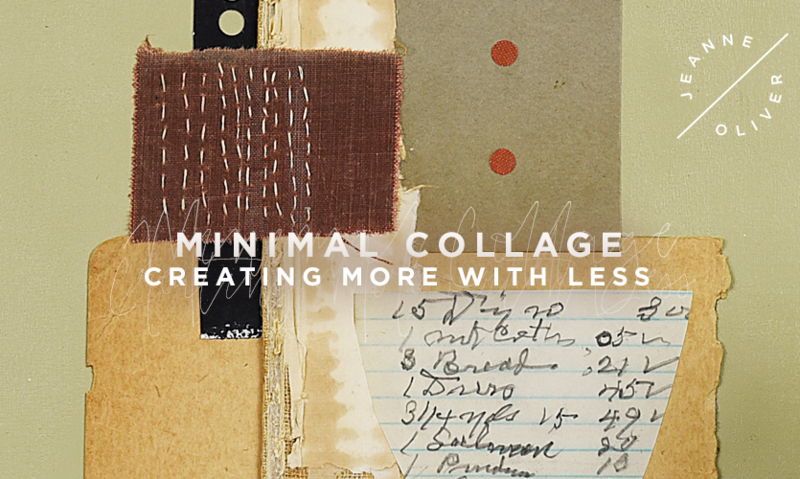 Early Registration for Minimal Collage | Creating More with Less with Leslie Rottner is open for $38 and will go to the full price of $52 on April 27th at 10 pm MST. The course will go live on May 28th. The course is 3.5+ Hours of Content. Come and read all about it.